Welcome to Fuzzy Finds, a new feature we’re running each week where we’ll share the things we’ve been emailing each other about and discussing at the lunch table. Want to share something awesome with us? Hit us up @FuzzyMath. 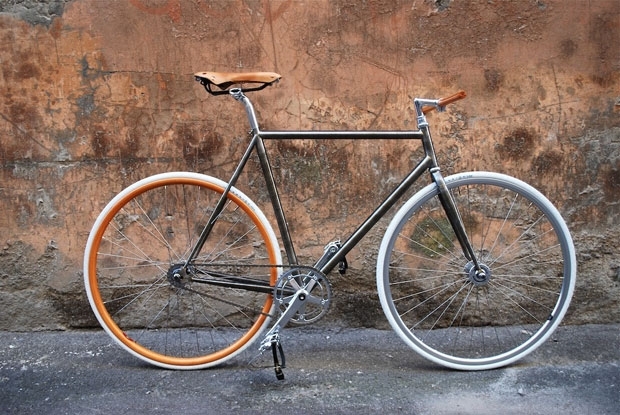 We love these sleek, minimal "ucycles" from Italy's Ucy, profiled by Design.org. An interesting look at the changing face of innovation, and how companies like Apple and Netflix have capitalized on it. As UXers, determining how behaviors can change to improve experiences, and how the system can be designed to encourage and facilitate those behaviors is one of the greatest – and most rewarding – design challenges. As a small, lean organization, we’ve always worked in small teams and found it to be a successful way to do things. It turns out hard research backs up our anecdotal research, finding that a group of 4 to 5 people is ideal, while larger groups suffer at the hands of social loafers. The Wikipedia Redefined / New! A very cool look at a redesign for Wikipedia, including a clean modern layout and easier editing capabilities. If only we had the “Quote” functionality when I was still in school! We’re always interested in the intersection of technology and healthcare, and the vast possibilities within. This mobile platform for collecting behavior research data caught our eye. We’ve been following the Olympics here and always love to cheer on fellow Chi-towners, including Anthony Davis of the U.S. men’s basketball team, competing against Argentina as I write (USA! USA!). Built In Chicago outlines some of the biggest tech companies in Chicago, including some of our favorite clients such as NCSA, Fieldglass, Threadless, Total Attorneys, Vibes, Ifbyphone, VHT, and Viewpoints. Having worked closely with Fieldglass for a while, we’ve seen first hand the ever-expanding role they play in the day-to-day operations of their clients. Here, Fieldglass’s founder and CEO Jai Shekhawat, is profiled and discusses the emergence of the VMS industry they helped create. Fieldglass, meanwhile, was ranked the #1 VMS for the fourth year running.